At the beginning of the year I set myself a few goals. Although they weren’t too high of a standard for most, I knew it would be enough of a challenge for me. Being that this is my first full year of fishing panfish, that’s where most of my goals were focused. The first goal I planned to get after was catching a limit of crappie from the Connecticut River. 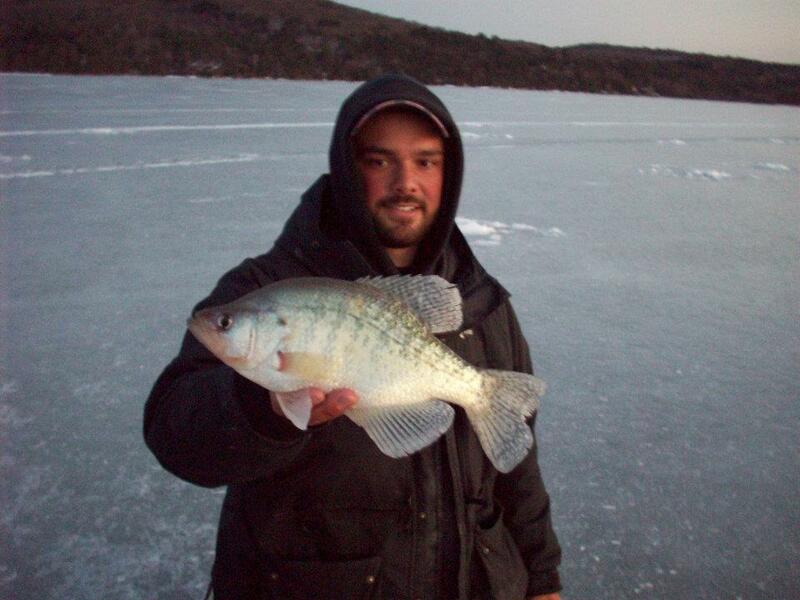 My other two panfish related goals were to catch a white crappie from Lake Champlain and to catch a fish to mount. 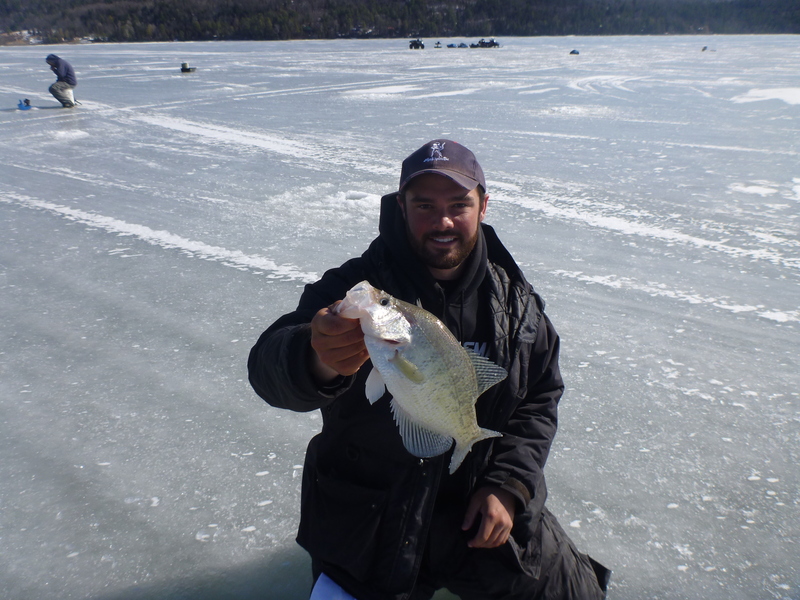 I don’t care if it is a bluegill, pumpkinseed, or crappie. My final goal is to catch a legal walleye. 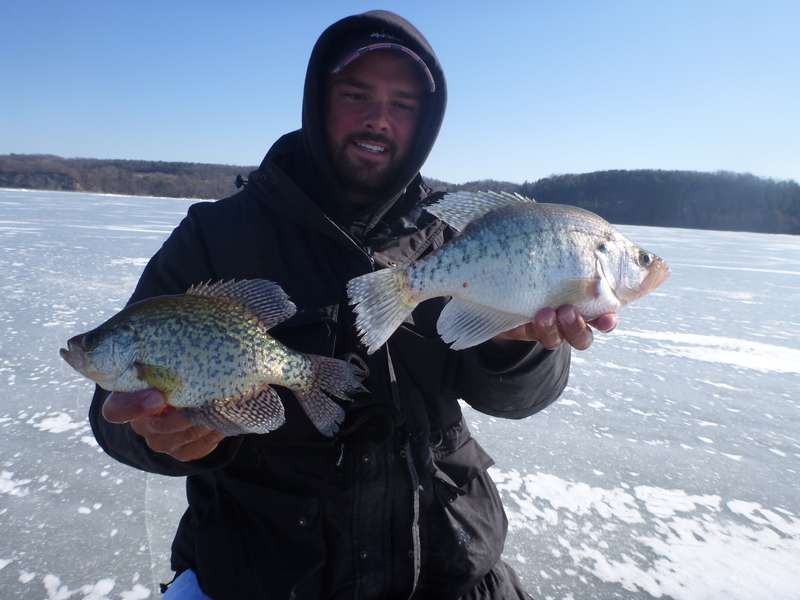 Earlier this season, I had several days that I caught limits of crappie on the river in different spots. Not only was it good to be able to check off one of my goals but I put a few quality meals into the freezer at the same time! I was off to a good start! Until yesterday, I have only had one shot at catching a white. 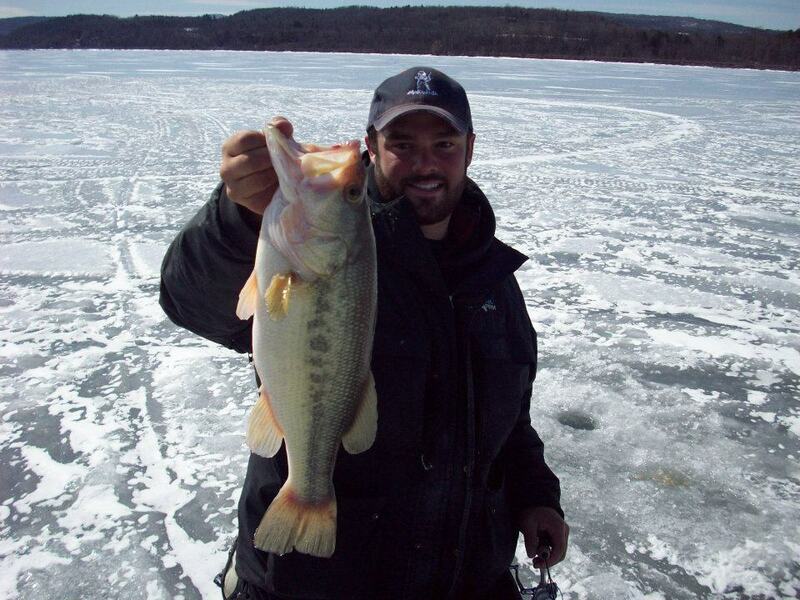 I got an invite to go fish on southern Lake Champlain. 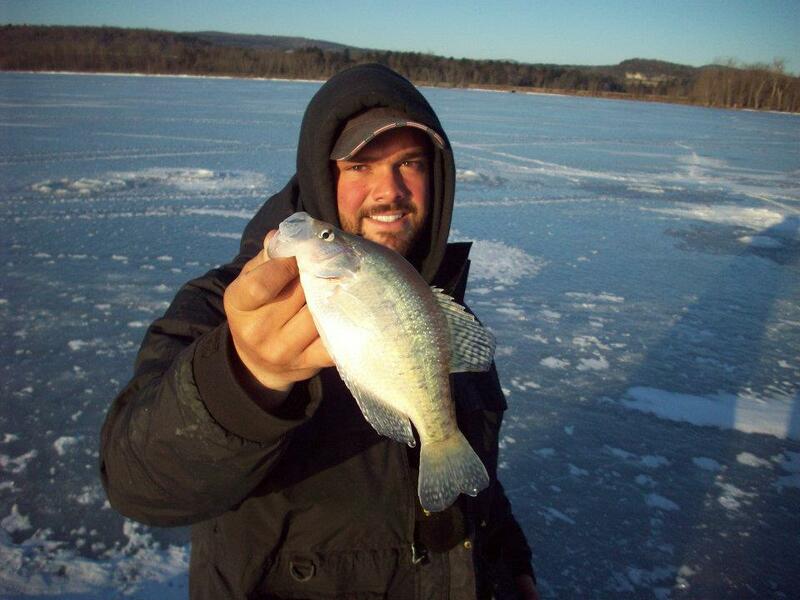 We were going out to target deep water crappie and I that I had a good chance at a white! It wasn’t very hard to convince me to leave home at 3:30am to make the 100 mile trek. 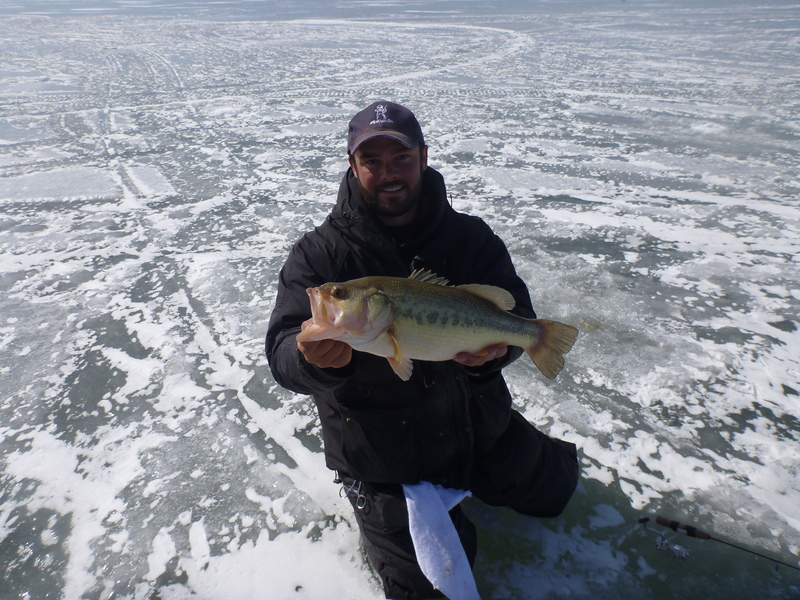 I beat the guys I was going to be fishing with for the day by only a few minutes and after packing up the sled and four wheeler we got out to the spot. It didn’t take long for us to start catching fish but the bite was short lived. With my first hook up only 15 minutes into the day, I was eager to get my hands on my first white. 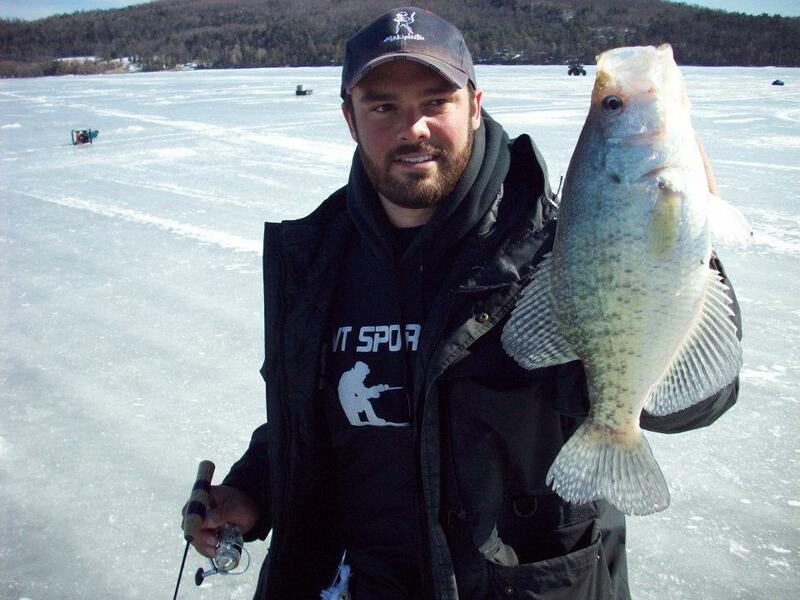 After a few seconds of cranking the fish up what do you suppose it was… A black crappie! Damn! 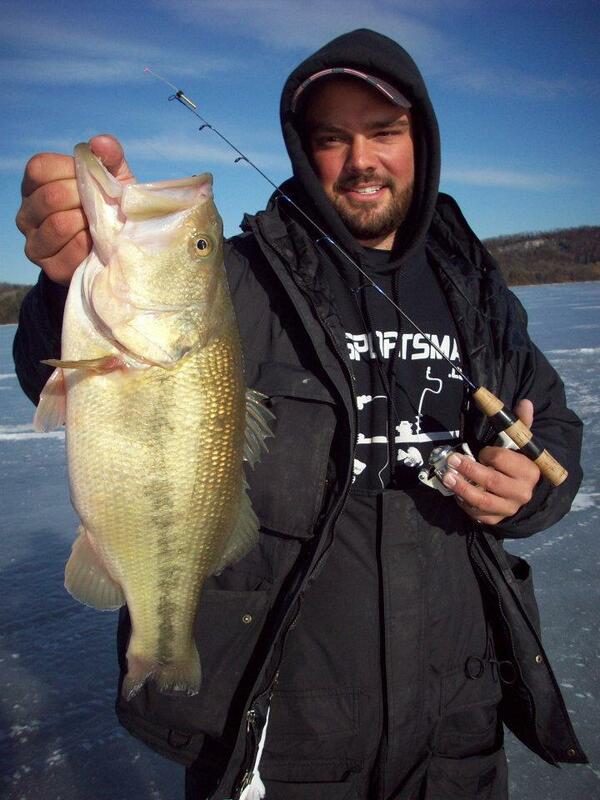 I unhooked and released the fish as it wasn’t very big but after only a few more drops, I snagged into my goal. Although it wasn’t a monster, I had the opportunity to up my personal best. Throughout the morning, we all caught a few more fish but they were pretty tight lipped. 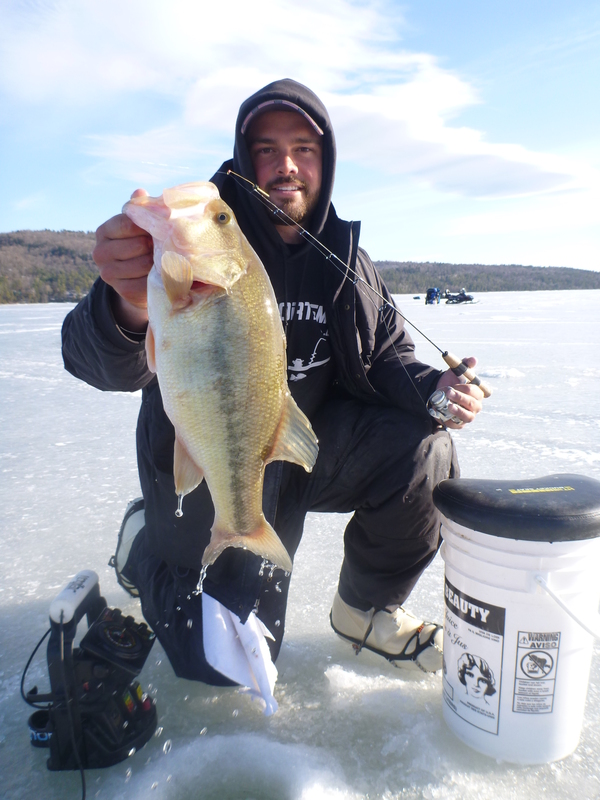 The best bite for me in the morning was on minnows hooked with a size 4 tungsten jig made by Bentley Fishing USA. Even though jig color probably didn’t matter, I stuck with burgundy all day while the other guys used silver and white. Mid-day, we entertained the idea of packing up and moving to a different location so we could pass the time until the evening bite by jigging up gills, seeds, and maybe some crappie. We decided not to move because there was a shot at a mid day bite. The majority of the fish we caught mid day were bass. Some hogs at that! After a slow mid day, we were all looking forward to the evening bite! Unfortunately, that time never came on strong. We got some really nice fish but we were just picking at them sporadically all day. I’m glad I got to get out with Jamie and crew for the day. I learned how exciting it is to jig deep water fish on minnows. I can’t wait till the opportunity presents itself again! Oh and I set my personal best 4 different times. This was my best at 14″.